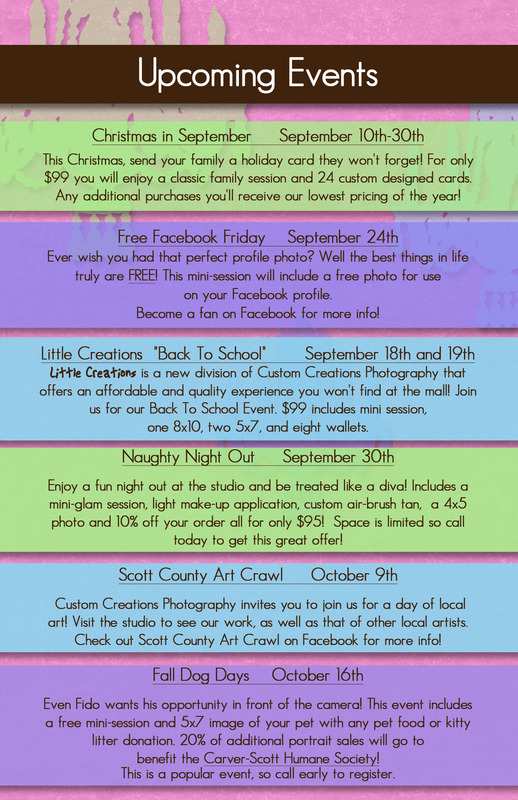 We have a TON of great things coming up at Custom Creations Photography!! We wanted to make sure you can get your calendars marked so that you don’t miss out!!!! Posted in Uncategorized | Comments Off on Upcoming Events! !